This kit listing is for the 1 - Beginner Bead Crochet bracelet pictured and documents including a pattern. 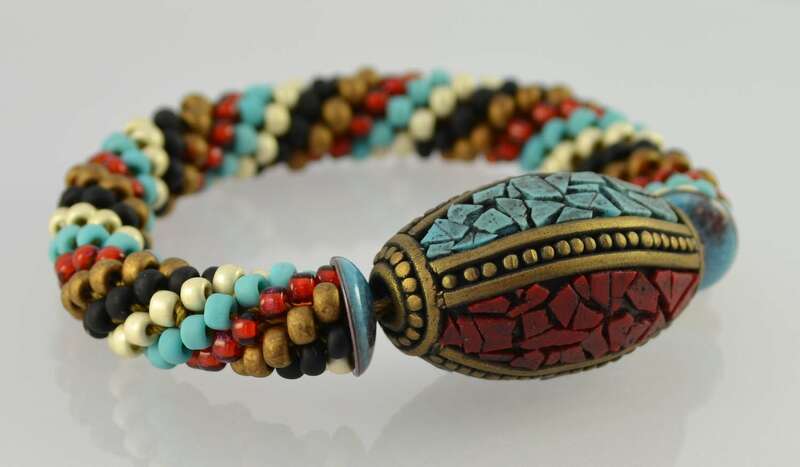 Please look at the focal bead and bracelet picture as this is the kit you will receive. #### BONUS ####with all kits - A starter tube is included with the kit. This makes it so much easier to start crocheting (see picture). Beginner bracelet patterns use size 6 seed beads in the colors pictured. 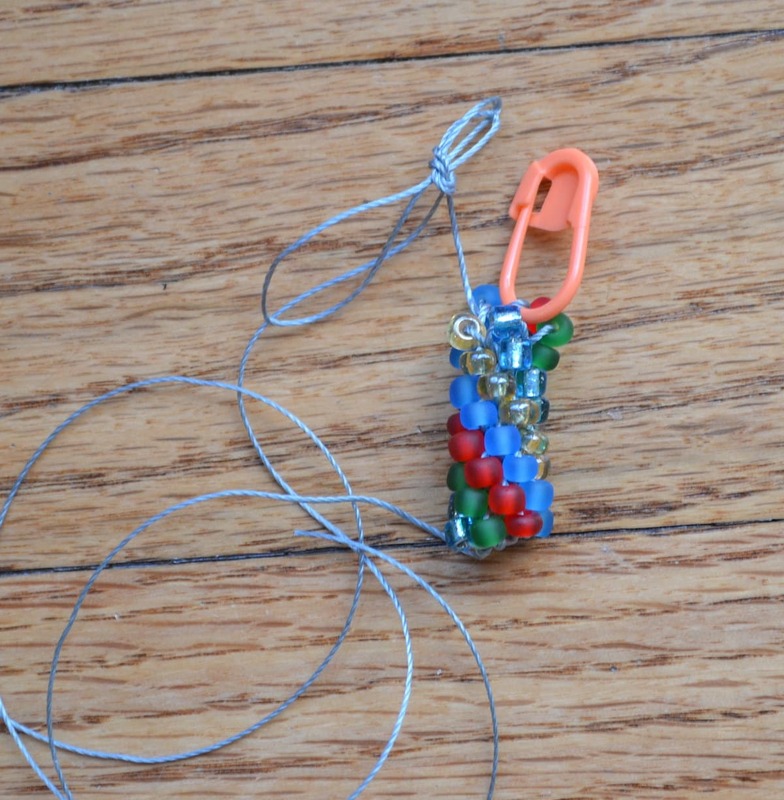 The patterns can be used for any size seed bead project, including size 8 or 11 beads if you choose to do so. Size 6 seed beads are the perfect size for beginning bead crochet projects. Pattern & Instructions - Digital instructions are sent to you within 24 hours of your purchase. If you prefer paper instructions and pattern please indicate this at time of purchase. This pattern is also available in the book, "BEAD CROCHET BASICS". 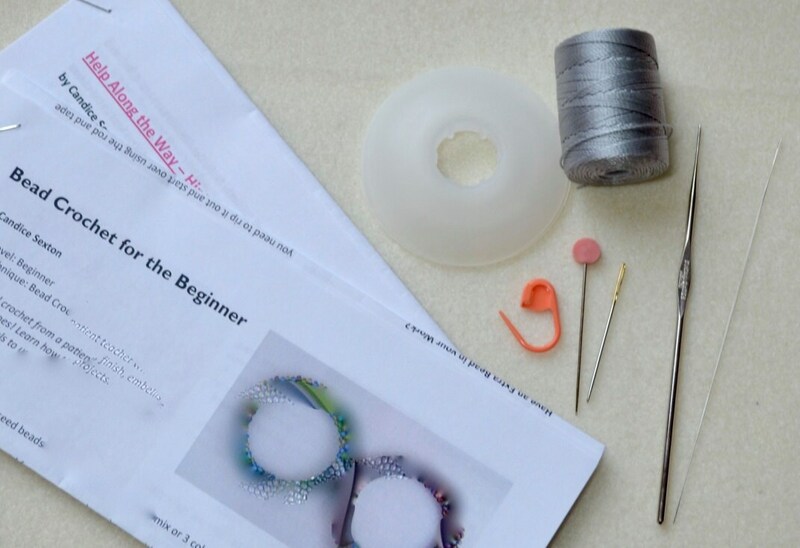 The book has all the patterns and instructions for every beginner piece. NOTE: All beginner projects essentially are crocheted and strung-on the same way, as illustrated and explained in the book. Feel free to mix up the colors as you choose to achieve your desired color pattern!